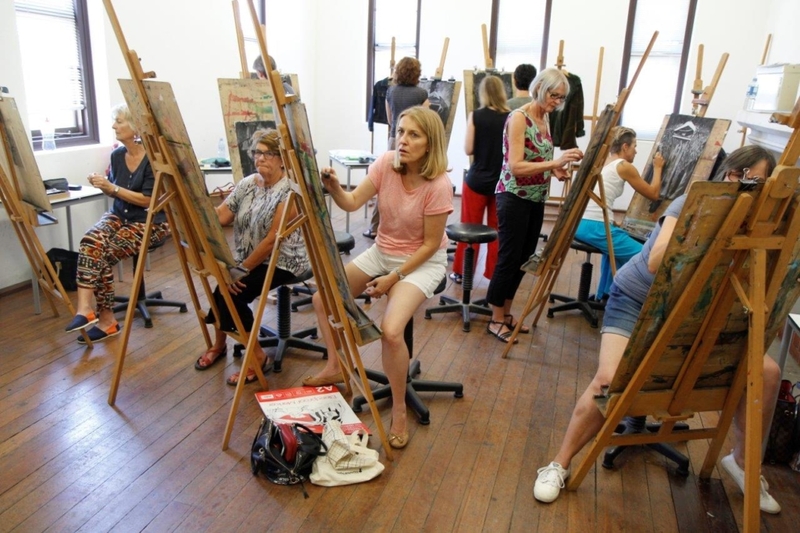 Want to enrol in one of our art courses? Here’s how! Places in all courses are strictly limited, so early booking is recommended to avoid disappointment. Places in all courses are confirmed only on receipt of payment. Once enrolments open (see dates below), you can follow the simple step by step process to enrol yourself online. You will receive confirmation of your enrolment and a copy of your invoice via email. To enrol over the phone call (08) 9432 9555. Our reception is staffed from 9am–5pm, Mon–Fri and 10am–5pm, Sat–Sun. We can only accept credit card payments (Mastercard and VISA) over the phone. Visit us and enrol at reception. Our reception is staffed from 9am–5pm, Mon–Fri and 10am–5pm, Sat–Sun. We accept cash, EFTPOS and credit card payments (Matercard and VISA only). Enrolments can be made any time prior to the commencement of the course, providing there are places still available in the course; and the course has not been cancelled due to under-enrolment. FAC courses are open to everyone and no qualifications are required unless specified in the course description. Adult courses are open to anyone aged 18 yrs or over. Art for Teens is for 13-18 yr olds; the Kids’ Holiday Program offers classes for 5-8 yr olds and 9-12 yr olds; and Little Kids’ Classes are for Under 5s. Our Term Time Kids Classes are for 6-12 yr olds. Please note FAC is a heritage-listed building with access limitations. A number of courses require use of special materials and equipment that may not be suitable for everyone. If you have any special requirements please discuss with the Learning Coordinator before enrolling in a course. Materials are included in the enrolment fee on selected adult courses. Please check the Materials List on each individual course page to find out what is included and what to bring. Materials for Kids’ Courses are included in the enrolment fee and supplied by FAC.